Simon is an Italian artist based in London. His background is in photography but his work is moving more and more towards performance, with the idea of creating events where the public can actively participate and that can have a transformative effect on people. For his residency in Corris, he would like to work with photography and performance with the help of the local community. His idea revolves around the concept of identity and how it is formed; how the gender of an individual and the stereotypes that society, culture and religion have created, inform who we are and how we think/behave. Studying different artists that have created alter-egos, he wondered what wearing an alien object like a blond wig would do to people, if it would change the way one behaves, speaks or interacts. His idea for the residency therefore is to deal with these topics in a playful manner, taking a series of photographic portraits of local people wearing a blond wig in their domesticity, at home or outside in the area. Simon Olmetti spent a weekend in the village of Corris and he experienced such a positive energy from the people and the place itself that he would like to reproduce that in his work. He would like to portray the people that make Corris a great community and a special place to live in. He was thinking of taking portraits of the people working in the pub; of the pub goers with their dogs and their cheerful attitude; of the new village shop and its owners; of the characters he met with great stories or contagious laughs and of course Stiwdio Maelor itself. It would be partly a documentary series and partly a search for true Britain, a look at a different way of living far from the glittering and sparks of a big city but so genuine, true and joyful that makes you reconsider the preconception regarding the life in a remote village. 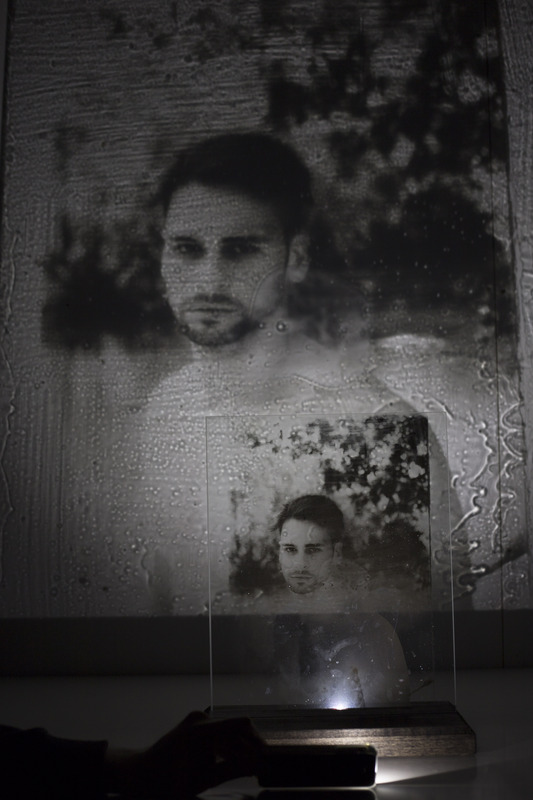 He plans to use a digital camera as his residency will be short – only last weeks. Alternatively, he may use a large format film camera, with its slow process that matches so well the pace of a village. He envisages the portraits printed big, giving the people of Corris a kind of celebratory status, mingled with smaller prints of the nature and places that surround it. He is not looking for a cheesy portrayal of a village, but a series of pictures that illustrate the life of the people that make it so special to live in a village. Simon currently lives in London but he was born in a rural village. He feels this project would take him back to his roots in some respects, to a feeling that he has somehow lost in the urban living of most of his current existence.